How long do essential oils last ? Can Essential oils deteriorate ? Essential oils are natural vegetable oils obtained by the steam distillation process of plants. On sale, they come in a glass, dark colored pack, in the amount of 10ml and 30 ml. Essential oils are used in very small quantities, expressed in drops. When we become the owner of an essential oils, we become aware that such oil requires special conditions of keeping and preservation. Although it is of natural origin, it cannot be said that its expiration date is unlimited, nor can it be deteriorated. On the contrary, essential oils are like other vegetable oils are susceptible to decay, unless they are properly stored under certain conditions. 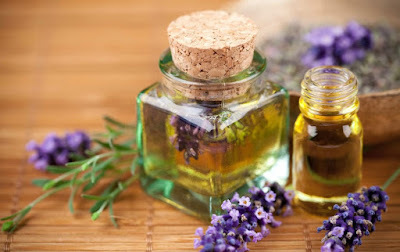 Characteristics of essential oils are that if there is a deterioration, this will not be reflected as rancidness, but the chemical reaction will take place at the level of the oil molecules, and hence the healing of the essential oil, which either loses its medicinal properties or gets toxic properties. For this reason, it is important that the essential oil bottles which, as a rule, must be dark brown or dark blue are kept in a dark, dry place, away from heat, moisture and direct sunlight. In translation, do not put oil in the car, in the bag, in the bathroom, on the window shelf, in the kitchen next to the heat. What is the expiry date of certain essential oils? Most essential oils for proper storage have a shelf life of 2 years or even more. Tea tree oil, Pine oil and Fir oil have a shelf life of 12 to 18 months. Citrus oils have the shortest shelf life, because of content of terpenes, highly subject to oxidation. Their shelf life is up to a year, although due to proper storage, it can be extended to 18 months. Tip: if you buy a bottle of citrus oil in a 10ml package, distribute it in 2 unused dark bottles of 5ml to prevent oxidation of the entire bottle, if you do not use all amount of essential oil.